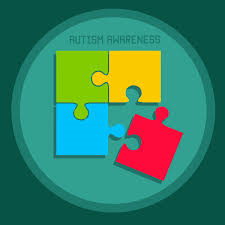 Autism refers to a broad range of conditions characterized by challenges with social skills, repetitive behaviors, speech, and nonverbal communication. The Centers for Disease Control estimates that 1 in 59 children in the U.S. are affected by autism. People with autism each have their own distinct strengths and challenges. As it is a spectrum disorder, they can be highly skilled in some areas, and be severely challenged in others. This spectrum covers a broad range of types of skills and abilities. Some people with autism may need significant support in their daily lives. Others may need little support or live independently. In honor of Autism Awareness Month, the BPL is hosting the free job search workshop “Getting a Job When You Have Asperger Syndrome/Autism” on April 17, 2019 10:00-3:00 at the Central Library in Copley Square. Registration is required. More information is available on the registration form. The BPL is also hosting the “Book Group for Adults on the Spectrum,” held monthly at the Central Library in Copley Square. This month we will discuss The Curious Incident of the Dog in the Night-time by Mark Haddon. The meeting will be held in Mezzanine Conference Room 3 on Tuesday, April 30, 6:00-7:00 p.m. Advanced registration is not required. For more information, please email the Research Services Department at research@bpl.org.